Buying new truck tires can seem like a daunting task, especially since most of us don’t think about it until it’s too late and were stranded on the side of the road. Having the proper tires can contribute to the safety of you and your passengers, give you better handling in weather conditions, offer better fuel economy, and improve the ride of your truck. Here are five tips to consider when buying new tires for your truck. Make sure you actually need to buy new tires. The first thing you need to consider is whether you actually need new tires. Is there any extreme wear on the tread? Do you see any discoloration or bulging? Are there any cracks, hairline or otherwise? If you notice any of these issues, you need to put new tires on your truck as soon as possible. Some tire companies, such as Continental and Michelin, say that a tire's lifespan can last up to 10 years but add that you should professionally check your tires every five years. It’s impossible to figure out when a tire will “expire,” but paying close attention to their color, any imperfections, and the tread is always a good idea. Truck tire tread should generally be 4/32 of an inch on the front axle and 2/32 of an inch for all over-wheel positions, according to the Commercial Vehicle Safety Alliance. To test your tread, stick a penny between the raised portions of your treads, with Lincoln’s head pointing toward the center of the tire. If his head disappears between the tread, it is still above 2/32 of an inch. If you can see his entire head, it’s time for new tires. 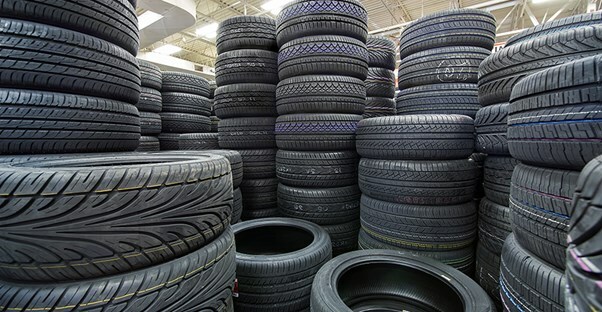 The National Highway Traffic Safety Administration offers a few tips on searching for new tires that relate to your surroundings. Warmer climates cause tires to age much faster than colder climates, and exposure to sunlight and living near the coast can also increase the aging process. If you live in these conditions, considering buying new tires more frequently. How you treat your tires should also be taken into consideration. Do you run over the curb often? Do you get a punctured tire often? This can often be an issue for people who live in rainy areas. After a heavy rain, nails and other construction materials can wash onto the road puncturing your tires. Heavy stress will mean you need to buy new truck tires more frequently. When it comes time to buy new tires for your truck, you should think about your driving habits. Do you live in a snowy area? Do you often go off road? Are you looking more for solid performance with speed? If you’re someone who is using a truck for a specific hobby, be sure to get the tire that best fits the hobby. All-terrain tires might not be the best for you if you’re always commuting to work on the freeway, but they're perfect if you drive over sharp rocks on dirt roads. Always buy four new truck tires. Do not buy used truck tires. Yes, new ones can be expensive, but when you buy used tires, it’s often a gamble. You have no idea how well they were maintained, what sort of conditions they’ve seen, or how many miles they’ve driven. It might be costly up front, but always buy a full set of new tires. Replacing all four at once will give you maximum performance, predictable handling, and safety. Take care of your tires so that you can buy less frequently. Be sure to maintain your tires to make them last longer. Control the air pressure in your tire. Improperly maintaining your tires can cause undue stress on the sidewall, causing the temperature to spike and potentially leading to a blowout. Check your tread at least once a month. Having less tread means less traction and less safety. Finally, get a regular tire rotation to ensure even wear of the tread.